HAPPY SUMMER SOLSTICE - FREE SHIPPING ALL WEEKEND! OWEN DAWSON - NEW VOLUME EDIT! BOOD 2019 BSD FOREVER BMX NOW! 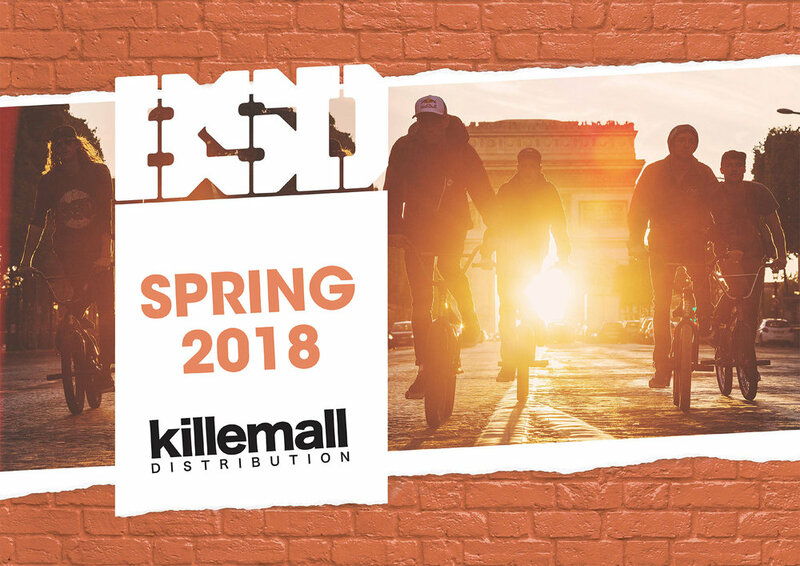 SPRING 2018 VOLUME BIKES AND DEMOLITION PARTS HAS ARRIVED! BSD SPRING 2018 HAS ARRIVED! PLUS SELECT FRAMES FROM BSD AND VOLUME ARE PRICES REALLY NICE! FREE SHIPPING FOR SPRING BREAK! MONKEY LIGHTS ARE BACK IN STOCK! IF YOU'RE LOCAL DEALER DOESN'T CARRY THEM, YOU CAN NOW ORDER DIRECT FROM US! SAVE BIG THIS VALENTINES DAY - WE LOVE YOU ALL! BVD IS BACK! AND, HE'S RIDING FOR BSD FOREVER. BRANDON WAS OUR FIRST PRO RIDER, ALWAYS A GREAT FRIEND, AND AN AMAZING HUMAN. WE'RE ALL STOKED TO SEE WHAT HAPPENS NEXT! corey has moved on to much deserved greener pastures and we'd like to thank him for riding for and repping Killemall and Demolition Parts for the past few years. Congrats and keep pedalling fast and blasting the hell out of everything! BOXING WEEK @ KILLEMALL DISTRO! the killemall team mix fall 2017! LAST DAY TO SAVE IS TODAY! DAY 10! COMPLETE WHEELS AND HUB GUARDS ARE ON SALE! GET HOOPED ON DAY #9 - RIMS AND HUBS ARE ON SALE!